As some of you know I get involved in TV work from time to time and it often comes quickly and out of the blue and so that leaves me with part finished projects lying around. Last year I made a house, moved in and 3 days later went off filming for a few months, leaving me woefully low on stock. Due to some re-rescheduling I managed 3 weeks at home and managed to tie up some projects. My 'in stock' page has been a bit of a desert for a while but will now start to fill again, I hope. Commission work clearly took a hit and I can only thank my amazingly loyal customers for sticking with me through this. I hope these are of interest and if you have any questions or comments, just ask away. There is also a very exciting knife project coming up that I hope to post as I go, something I have been wanting to do for so long...Other than that I am just starting the last part of my current contract and have to mate a jet fighter with a race boat, which promises to be interesting and luckily my contract forbids me from getting in it so no one will know I am a total coward. Nice daggers you have there, Leo. Good job. I love the dagger on the far left. Life is short; I got the dudgeon dagger after all. But when/if I can get the Albion Knecht, I know where I will get the scabbard. 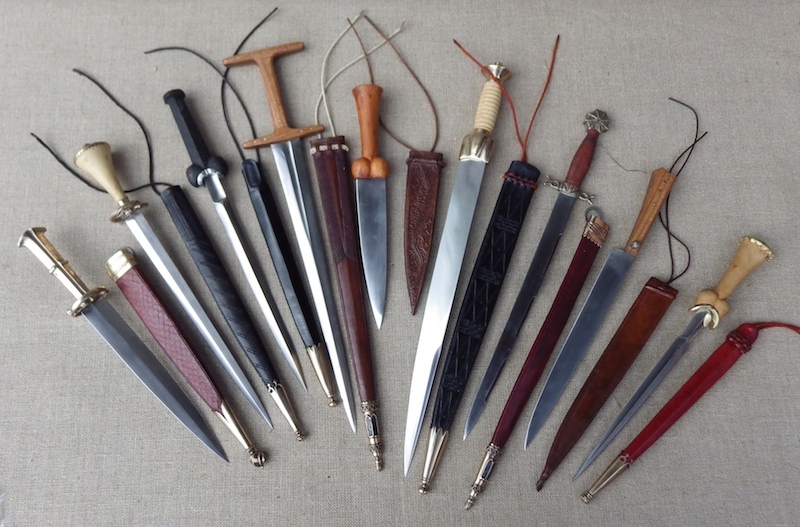 Hard to save up for it when beautiful daggers like these are out there. 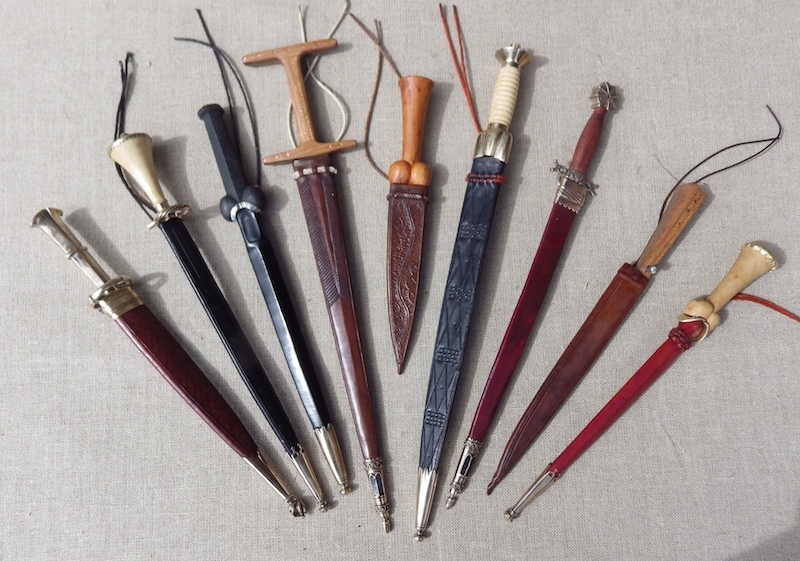 I've always liked dudgeon daggers and Tod's versions have always caught my eye, too. Nice catch. Just received it yesterday, and of course it's a very nice piece. Something unlike everything else in my collection, but a very good addition!